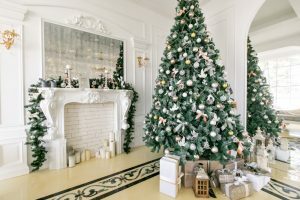 Maybe you want this year’s Christmas décor to look a little bit more understated? I wouldn’t blame you! 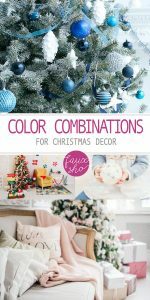 Although brightly colored décor themes have their place, sometimes it is helpful to look at other color combinations for Christmas décor. There are some beautiful color combinations out there, ranging from pastel to bold. I’ve found a few of my favorites to share with you today. 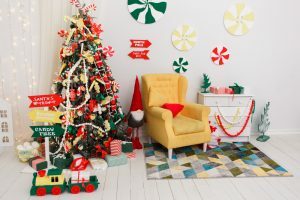 Get ready for some serious Christmas décor inspiration! 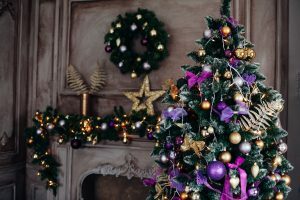 I absolutely adore the bold use of purple in this festive Christmas décor! I think if you’re a little afraid of using a non-traditional color combination, you should definitely pay attention to how this room is decorated. Notice that the predominant color of the fireplace and mantel décor is gold and silver. Purple is allowed to dominate the tree, and that way, it is not too overwhelming if you’re nervous about it. But I think this room looks amazing! 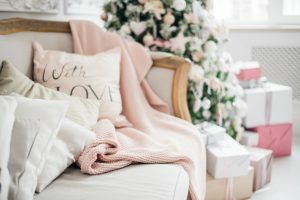 Another non-traditional color combination for Christmas décor is pink and cream. But I think you have to agree that the soft, calming effect of this Christmas décor choice is worth noting. It’s soft and muted, but the festive feel of the room doesn’t suffer in any way. I’m sure I could hang out in this spot on a snowy afternoon and thoroughly enjoy myself. So, how do you feel about it? 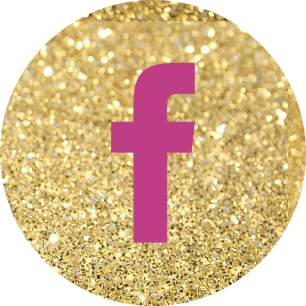 Are you team pink? Blue holds a special place in my Christmas memories! My grandmother always used blue for her Christmas décor, and I loved it from the first time I was old enough to notice. We never had blue decor at my house, so I had to enjoy my grandma’s. 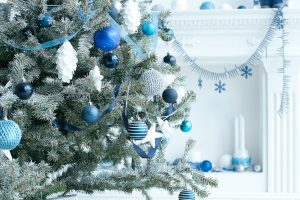 Now that I’m an adult, a blue and silver color combination has been on my tree many times. It’s definitely a favorite! Silver and gold isn’t just in the classic Christmas song. It’s also a timeless Christmas décor color combination. You can’t miss how festive it always looks against the green of the evergreen tree, garland, and wreaths. Some might think it’s boring, but they’re wrong. Silver and gold will never go out of style! Flock your tree and add red decorations. 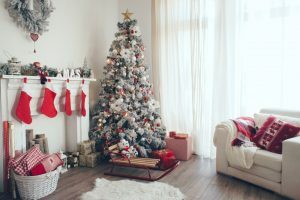 In fact, red and white is a great color combination to use for your Christmas décor. It looks fun and festive, and you’ll never go wrong by using it. 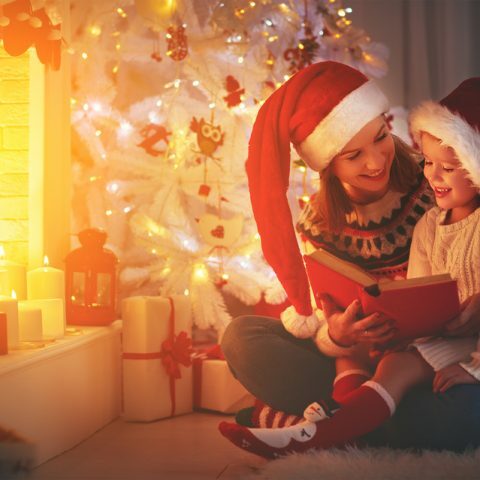 In fact, does Santa leave more gifts if you use a lot of red? That’s a question worth thinking about!